An ensured return on investment (ROI) is the benchmark that every business will aim even within a few years of inception. Businesses get the actual ROI figures within the first few years of inception, based on which, they plan strategies and improvements required to ensure the expected returns. 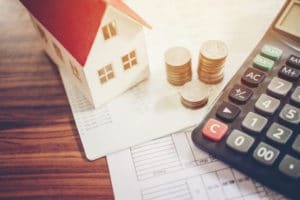 In the mortgage industry, which involves high-value transactions, every loan given can be treated as an investment, which means that ROI should be calculated before finalizing every transaction. This is precisely what makes outsourcing mortgage loan processing a feasible option because it will be a smart option to go through this time-consuming task before each loan application is processed without having to employ the in-house team on it. While outsourcing makes sure to choose a team with a BPM expert, which can be critical to its success. What does a BPM Expert do? Business Process Management (BPM) expert is a person with a high level of industry experience and is competent enough to handle the process in an optimized way. While customer satisfaction plays an important role in ensuring timely payments proper documentation and verification to ensure mitigation of risks. See How Outsourcing your mortgage loan processing services will ensure a better ROI? Mortgage industry deals with a lot of confidential documents with personal details of your customers, which require a very high level of security and confidentiality. By outsourcing, you rest assured of state of the art security features. Choose a service provider with PCI compliance and ISO Certifications for quality checks. Setting up a Mortgage industry involves a lot of operational expenses and setting up costs. Outsourcing will help you to reduce the overheads by over 60% while you can utilize your well trained in-house team for revenue-generating tasks. Outsourcing is a highly cost-effective option because it’s done off-shore where cost-effective and well-experienced labor is available. The latest WorkForce Management tools will ensure optimum results at the lowest investment. Mortgage industry will have to deal with a lot of customer inquiries, emails, and calls. Outsourcing partner will ensure round the clock support services thereby ensuring a high level of customer satisfaction. A happy customer base is the best way to build up a successful business and having a foolproof customer care service will play a crucial role in ensuring this. Outsourcing will ensure an optimal way of a process flow for loan processing, foreclosure, and post-closure services to create a perfect data flow within the allocated resources. This, in turn, will enhance the quality and productivity of the business processes and ensure the timely completion of mortgage loan processing. Mortgage loan processing is a highly competitive niche where businesses vie for the attention of the customers. The best way to retain and engage your existing clients would be to offer the fastest turn around time. 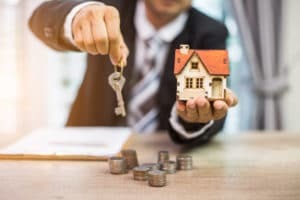 Customers consider mortgage finance as an emergency financial option and by ensuring a quick response, you can leave a lasting impression in the minds of your audience. Error free documentation has a key role to play role in the mortgage business. If you choosing to rope in an outsourcing partner, all documents get verified and validated in the supervision of a competent BPM Expert to ensure a complete documentation which smooth process flow. Outsourcing will improve productivity, ensures better customer engagement and retention and increased transparency of your business transactions, which will help you to improve the ROI decisively. If you wish to outsource your mortgage loan services to improve your ROI, we at Data Entry India Outsource can help you with some best solutions that will match your specific needs and budget. For more details call us and our friendly team will take you through the process in easy steps.